I got to take my darling nephew's Baptism Pics! 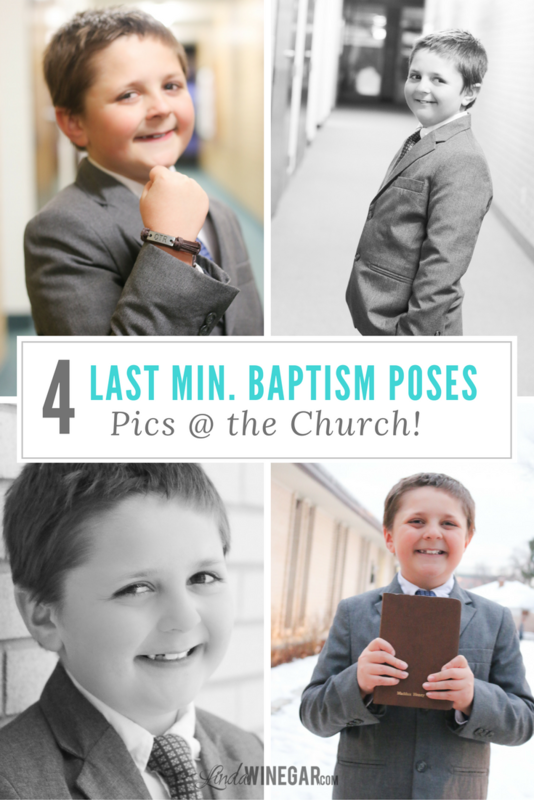 However, when you live far from your nephew and you're a slacker Aunti who can't remember to schedule a baptism photo shoot for him, you end up doing it the day of. HONESTLY, I need to be better. It's a super special day and I didn't want to ruin it for him and make it crazy. What 8yr old boy WANTS to stand still and get his pics taken? We did it! He was such a good sport and it took all of 15 min. I know right!! If you don't have time to read the rest just click to save either of these images to your phone and take it with you to your photoshoot so you remember what to do. You're welcome! If you have time, just read below. Pose 1: He didn't have a CTR ring with him because I failed to remind his mom to bring it, luckily he got a gift of a CTR wrist band (not a bracelet, boys don't wear those) so it was perfect. Told him to show it to me and show me his muscles too. Focus on it, so his face is a little blurred. Works out perfectly! Pose 2: Put him in front of one of the long hallways, the depth of the hallway will add that nice blurry depth of field you're looking for. Handsome! Make it Black and White or keep it color. I liked the B&W. Pose 3: Go outside and get a close up of his darling face but use those awesome bricks as a background. Get the angle right so you're not smack in front of him, but slightly to the side and BAM, you got it! Pose 4: Scriptures in hand! Outside with the church a bit in view. This one is always awesome, doesn't matter what scriptures he has, just use whatever you have because it's better than no scriptures. Plus...you're at the church...if anything you could check the Library to borrow some scriptures there. It's always a fave pose because I love the scriptures! 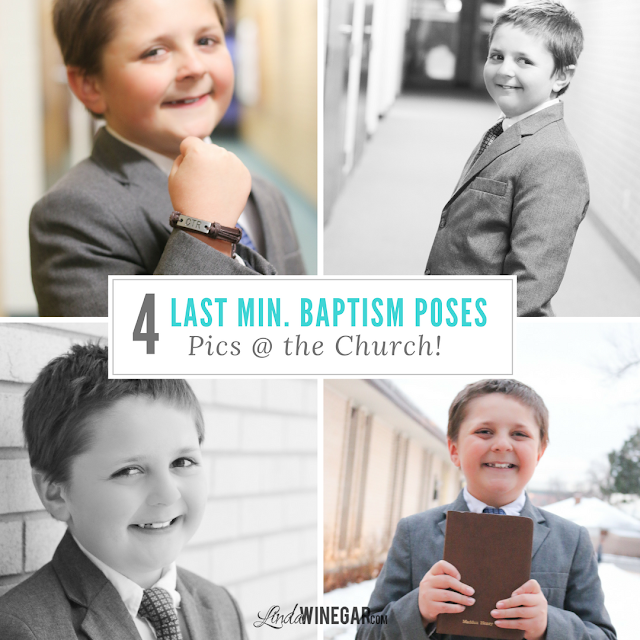 BONUS: Also...be sure to bring one of his fave cousins so that he can make silly faces at your model, so you never have to worry about telling the 8yr old boy to smile or to stand still. My son who's almost 8, happens to be the awesome one who distracted him and helped make him smile the whole time and made the whole experience way more fun and exciting and even funny. Thanks Finn!